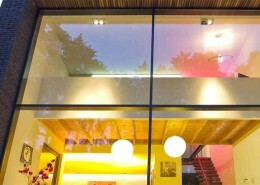 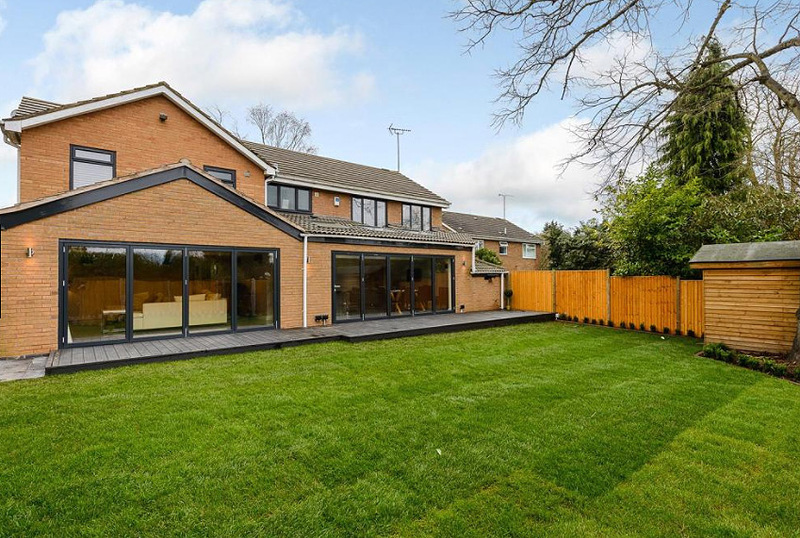 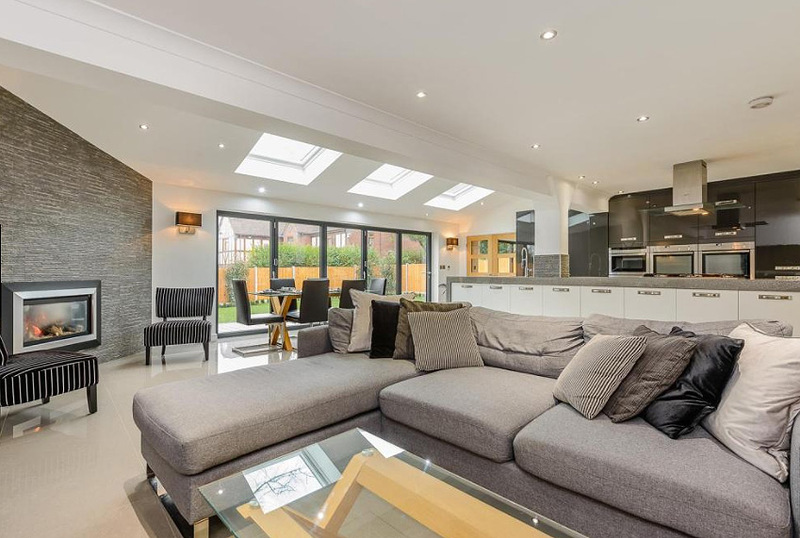 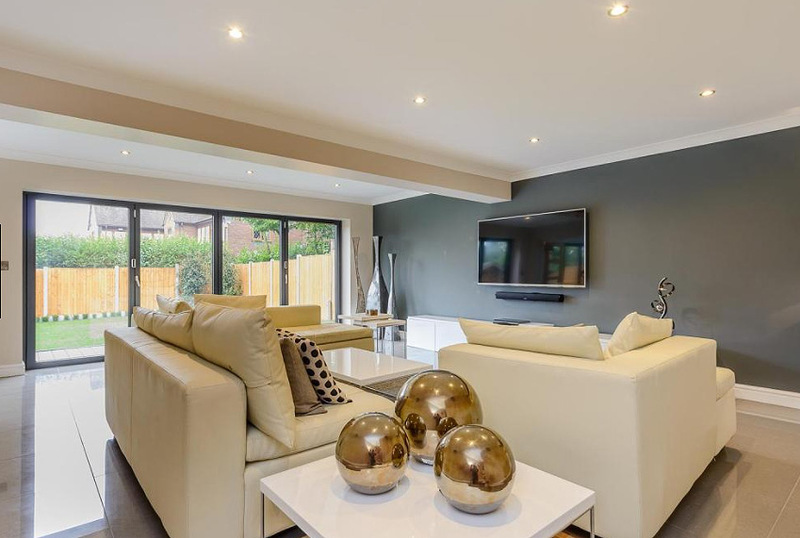 This modern home was fitted with high quality Schuco bifolding doors and windows. 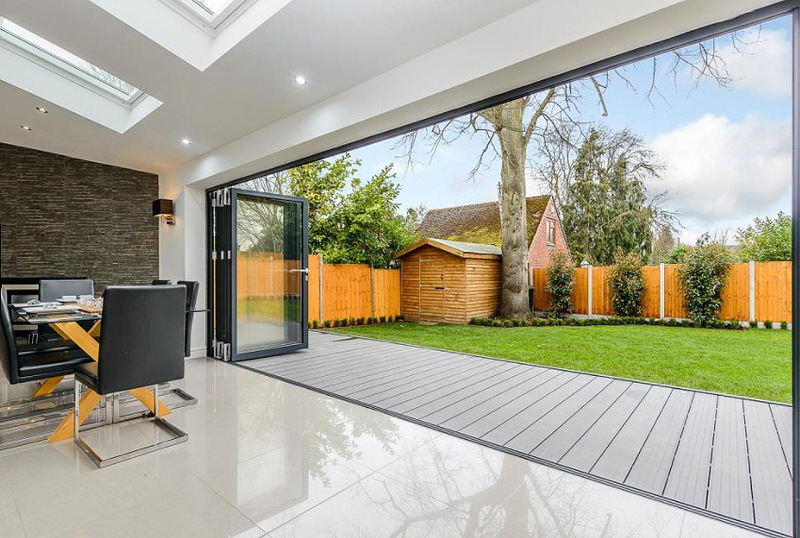 The installation included 2 bespoke aluminium bifolds that open out the ground floor to the garden and provide extra light to the open plan design. 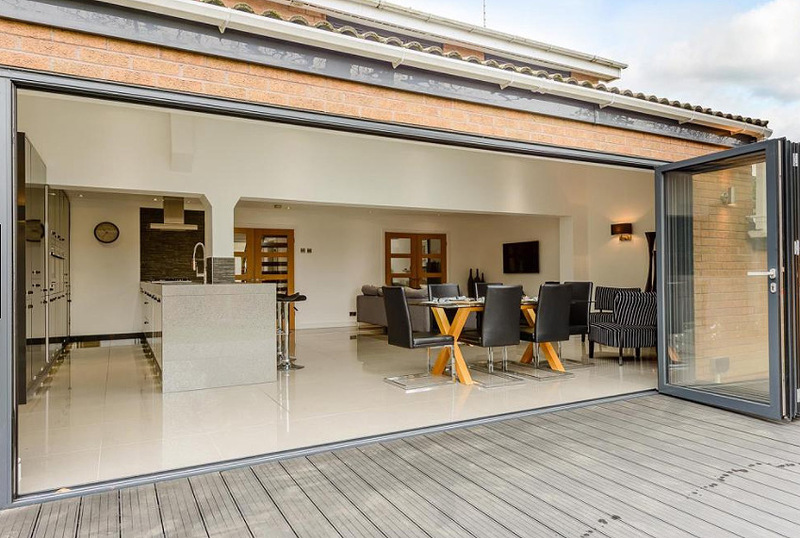 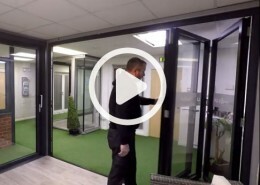 This 5 panel bifold door folds in one direction with the end panel hinged as a traffic door. 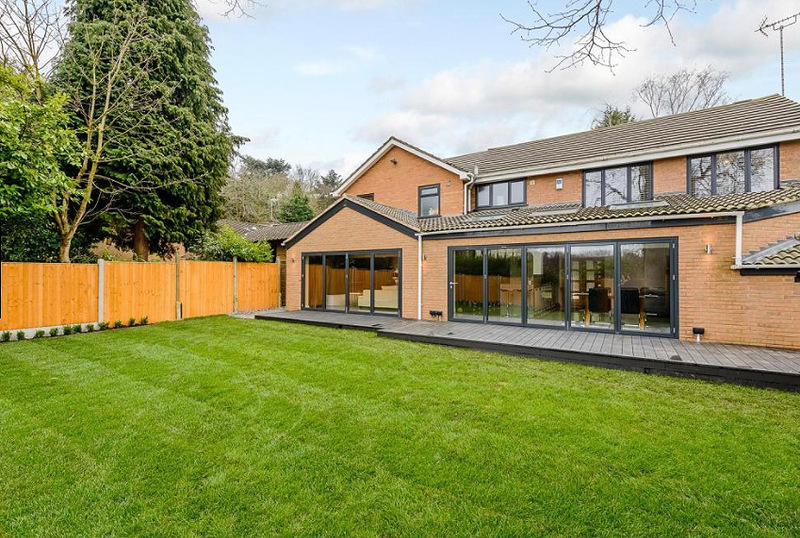 Schuco aluminium windows were installed in all rooms upstairs and customised in a Grey RAL colour to match the bifolding doors.